Beneath Suicide Bridge LAGP on Mars! 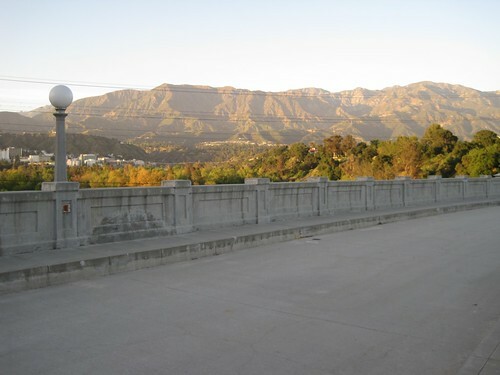 Devil's Gate Dam, built in 1920 to control flood waters in the Arroyo Seco. The Devil and the Gate. 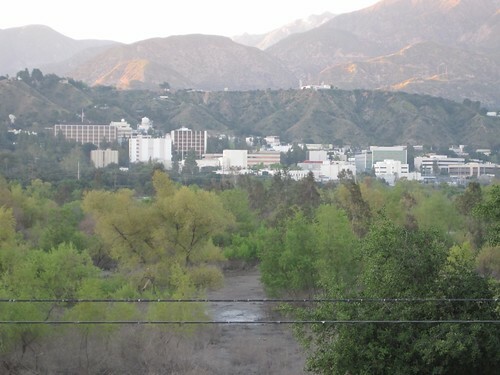 The JPL campus was purposefully located near Devil's Gate. The Devil’s Gate’s notoriety continued to build through the mid-twentieth century with the disappearance of at least four children in the area. 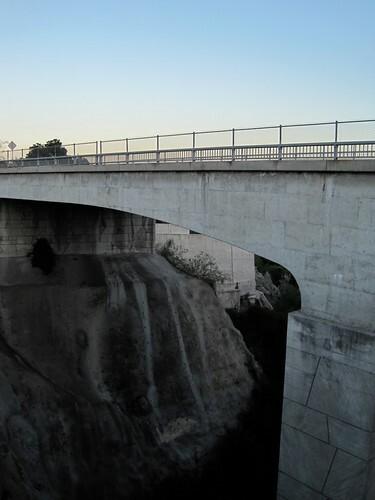 In August 1956, 13-year old Donald Lee Baker and 11-year old Brenda Howell went missing while riding their bicycles in the recreation area behind the dam. They were last seen alive on a Sunday evening but never returned home. 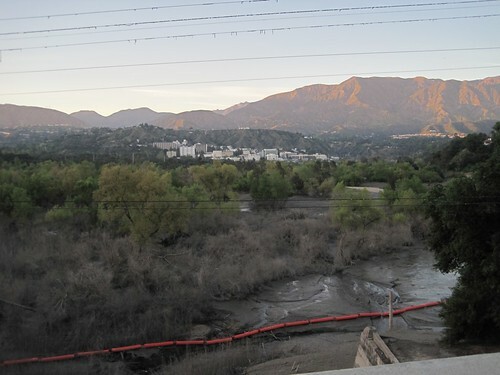 Hundreds of volunteers searched the foothills of the San Gabriels, while Navy divers checked the reservoir. All that was found were their bicycles and Brenda’s jacket. Less than a year later in March 1957, 8-year old Tommy Bowman vanished while hiking with his family; he simply ran ahead, rounded a bend and disappeared. Again, search parties scoured the area, on foot and horseback as well as in helicopters. Three years later, 6-year old Bruce Kremen also vanished from the nearby YMCA camp. The boy was not feeling well and a camp counselor watched him walk back towards the camp, not more than 300 yards away. He never arrived. Donald and Brenda’s disappearance was solved when serial killer Mack Ray Edwards confessed to abducting and murdering the children thirteen years earlier. 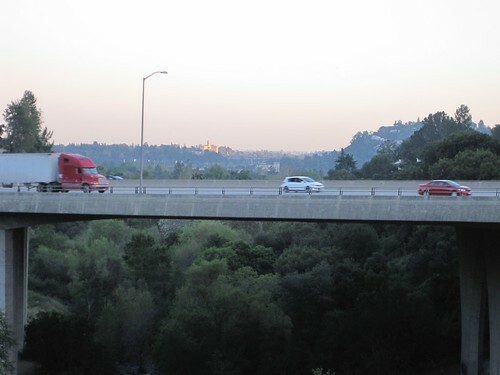 A highway department worker who helped build Southern California’s freeways, he buried their bodies underneath the asphalt. Edwards was sentenced to death for the murder of six children and took his own life while in San Quintin prison. There has been some recent interest in linking Tommy’s disappearance to Edwards’ activities as well, but his and Bruce Kremen’s disappearances are still unsolved cold cases. Turns out the day we visited Devil’s Gate was Good Friday, although we didn’t realize it until after we had made plans. We decided to do a quick scout before dusk to plan the investigation. While we were hiking towards the dam, we met a man out walking his dog who shared a personal experience with us. He said he often took a couple neighborhood kids on adventures in the area, and once they were hiking down the trail near the devil’s face and heard what sounded like faint song. They explored further and realized it was coming from the tunnel carved into the rock beside the devil. 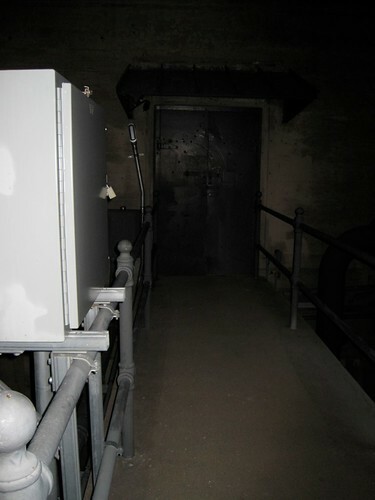 This tunnel is a flood control outlet and is normally locked off behind a chained gate. He said he’d always tell kids the gates were chained not to keep people out, but to keep something in. 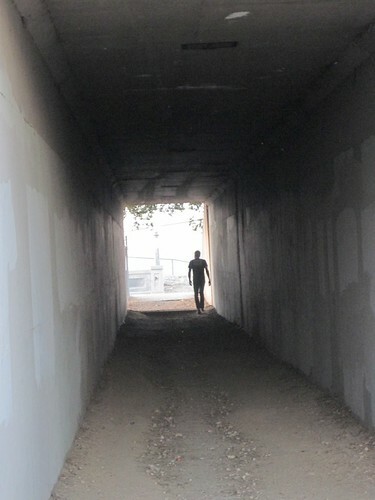 Now, we don’t know if he was pulling our legs, but he said that day they heard the singing they also saw way back in this tunnel two red eyes staring out. Then they all got the heck out of there! Due to the water level when we visited, we weren’t able to venture down this far. After scouting the area, we returned a couple hours later after sunset to see if we could make contact with anything. Setting up on the dam itself, we found that there was a slight electrical current running through the walkway on the span’s south side. However it wasn’t enough to cause any interference with our instruments as long as we kept the KII and Mel away from the edge. Since Carol had done most of the research into the missing children, she reached out to them and tried to learn more about their disappearances. No responses on either meter or on the audio recorder. We weren’t really feeling anything out of the ordinary on the bridge either. 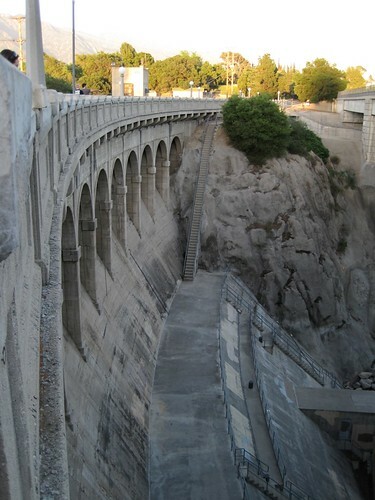 In conclusion, the history behind Devil’s Gate dam may be more interesting than any present hauntings or paranormal activity. 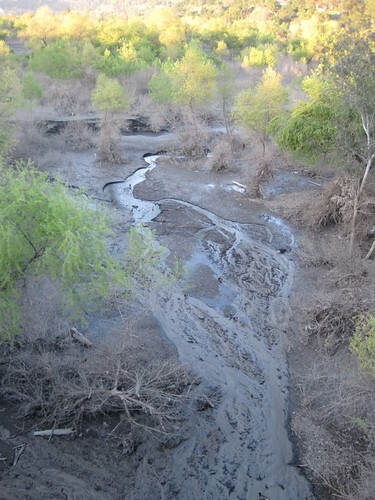 Maybe we were just having an off night (it was after all Good Friday) and should return later in the summer when the water in the arroyo has dried up so we can get right next to the devil’s face and that gate to hell. Or maybe that’s pushing our luck a bit much. What do you think? Anyone local ever had any experiences out there? 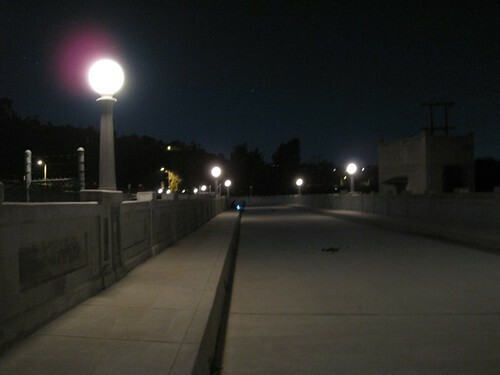 Hi my names christine I’m a 21 yr old pasadena resident that’s been loving here most of my life. I recently started going to the Devils Gate as more of a hang out to hike. I’m just fascinated by all the graffiti. I’ve never been personally to the gate by the “devils face” but I’ve been to another gate that you have to hike down stairs. I also actually climb threw the gate, and just hang out in the tunnel for hours. Just a lil creepy when you walk to the back of the tunnel. But besides that to me it doesn’t feel haunted at all , or maybe since I didn’t know the history behind the mysterious stories. I personally like going there. Let’s me clear my mind! Love to hear back if interested in more stories. 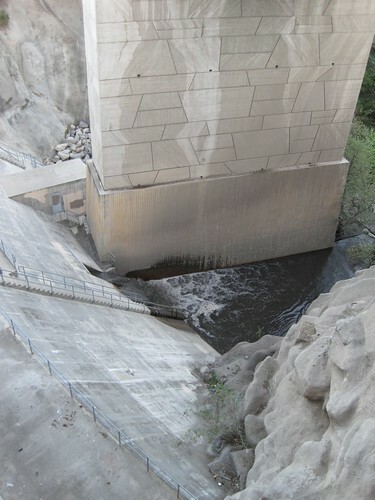 ive been to los angles just below the dam never to it. THANK GOD. but I do believe. Hey my grandma live in Pasadena by arroy Saco for 56 years and she never herd of people disaper ing. 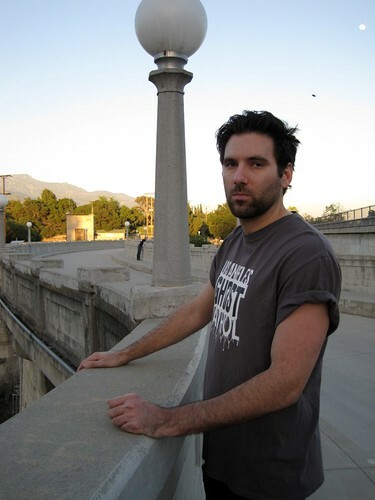 When I was a senior in high school a junior high kid went missing and they found him hanged by the dam. They said it was a suicide. It was 1990 or so. Christie, does anyone hassle you in the tunnels, sounds fun but sketchy – I am going there this week after reading this. Hope I make it back! I really wanna come to Devils Gate I think it would be awesome, I also wanna go in the tunnel. All gost are nothing more then demons. Every time I drive by something gives me the creepy feeling, there IS something there. My friends and I went their tonight at 8:00 pm. 4 of us. At the gate, we started making fun and we screamed nasty hurtful; things down the tunnel. Before we left my friend said he saw 2 red things looking at us. We didn’t believe it until we got up to the top of the path in front of that hallway thing. As we came out we chilled at the bridge until I turned around and saw a shadow moving inside of the hall. I honestly didn’t think it was real, so I asked my friend to check. When he looked he saw it and ran. Lol. Then my other friend looked and yelled “DUDE, RUN!”. So we did. It wasn’t scary as much as creepy. It was awesome. Go, not honesly at night if you get frightened easily. DO NOT GO ALONE. Not because of super natural stuff, I mean in getting lost. 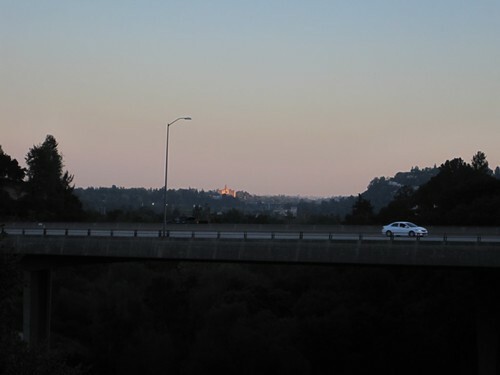 Im 17, I have lived in Pasadena my whole life. 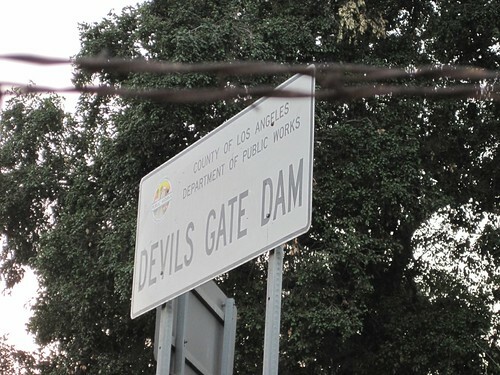 I found out about devils dam a while ago. I have explored all around it. Note: I never go in the day, I always go around 2 or 3 in the morning. I climbed down the ladder and noticed the gate was open near the devils face. I started walking i noticed the echoes sounds. I have gone in pretty deep in, but I still haven’t made it to the end and I plan to. It’s a really sketch mood. 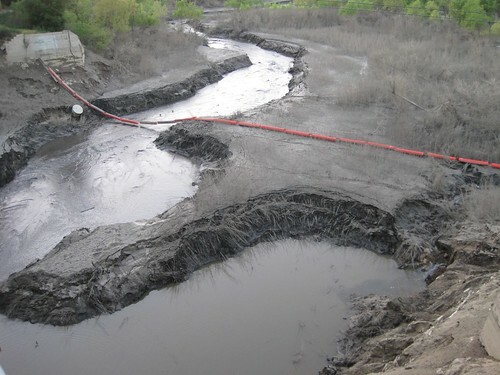 I am a paranoid person I say we just bomb the crap out of that place and have forest fire plains drop holy water and build a new dam if and I mean if there is something there (I don’t want to find out) get rid of it before it gets rid of us. 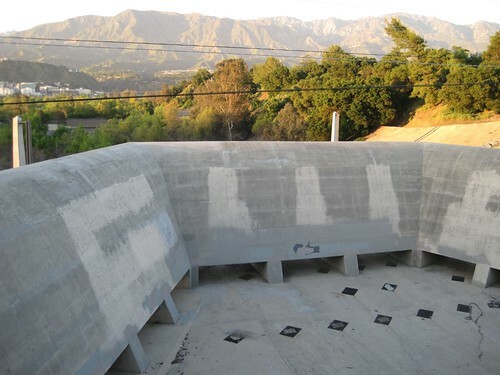 For an interesting story about the immediate area near the dam, check out “the ghost in building 125″ at JPL. Some of the old timers and some guards are aware of the event. I’d like to warn people that police are guarding the entrances. 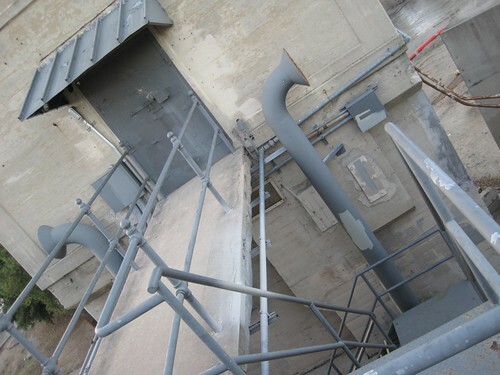 It is trespassing to go down there nowas I believe. Be careful. It’s dangerous and eerie. Can’t we just dig that place out? I mean if so many bad things have happened there, just get rid of it. Me and my friend are locals. I read this and ventured with him at around 2AM in the morning. We went all around and found the ladders that led to the tunnel! We found an open space in the tunnel and went to the end. There where no eyes but there was this ere feeling when we found ourselves approaching the area as we explored. It was sudden but maybe our imaginations. Who knows. Great place to hike and explore with friends at night. Might also want to bring a hunting knife and tasers. Just in case. There was allot graffiti.